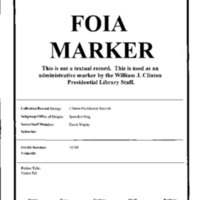 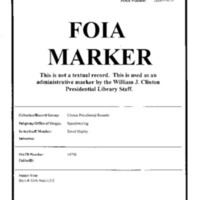 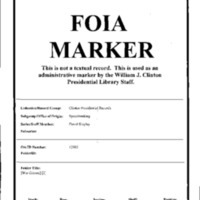 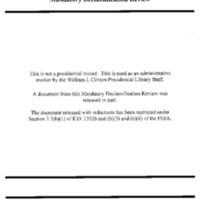 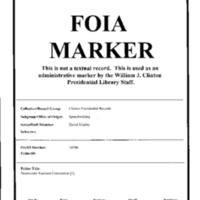 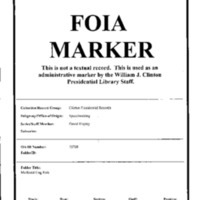 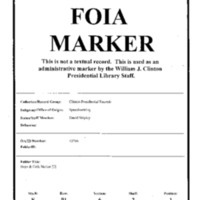 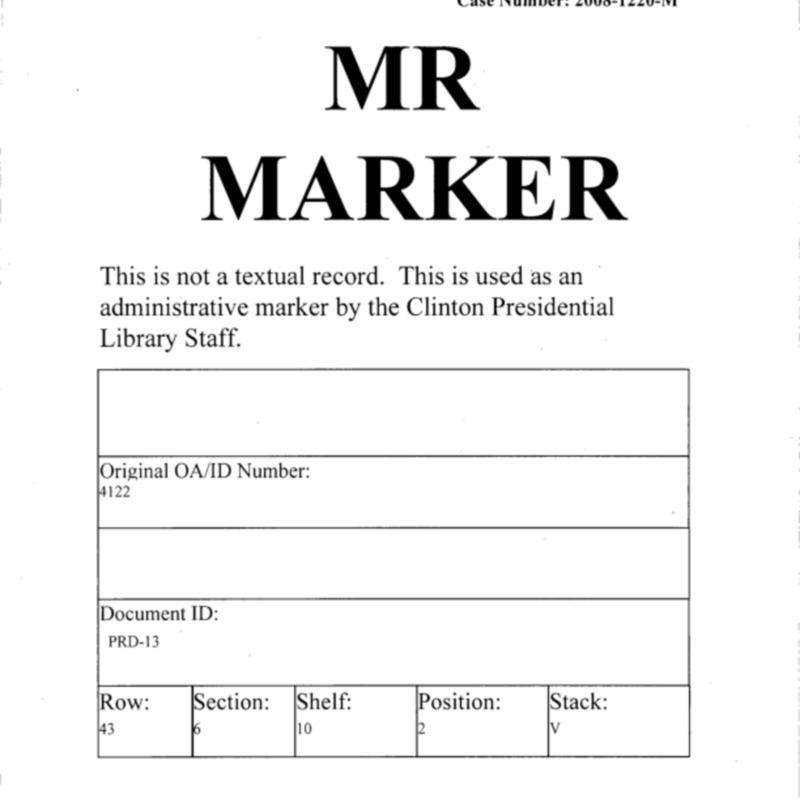 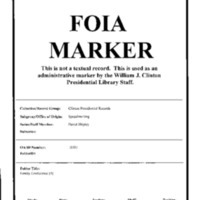 Provenance is exactly "Clinton Presidential Records: White House Staff and Office Files"
This Mandatory Declassification Review contains memorandum of conversations (memcons) and memorandum of telephone conversations (telcons) between President Clinton and Bolivian Presidents Gonzalo Sanchez de Lozada and Hugo Banzer Suarez . This Mandatory Declassification Review contains material related to President Clinton's trip to Haiti in March 1995. 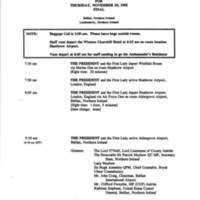 Included are National Security Council and Department of State memoranda to the President regarding the trip and briefing papers for meetings with President Aristide. 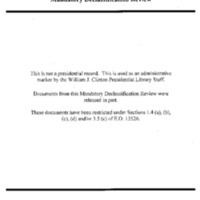 This Mandatory Declassification Review contains material from the President's Briefing Book from his trip to Russia and Belarus in January 1994. 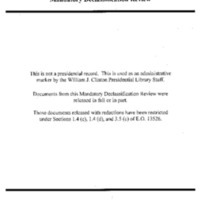 This Mandatory Declassification Review contains material related to Presidential Review Document (PRD) - 13: Multilateral Peacekeeping Operations. 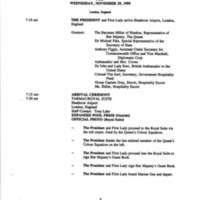 This Mandatory Declassification Review contains material on President Clinton's attendance at the OSCE [Organization for Security and Cooperation in Europe] Summit in November 1999 in Istanbul. Materials include a report on Jacques Chirac. 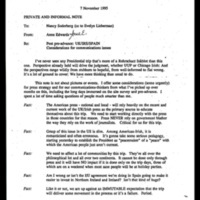 This Mandatory Declassification Review contains material on President Clinton's attendance at the G8 Summit in May 1998 in the United Kingdom. 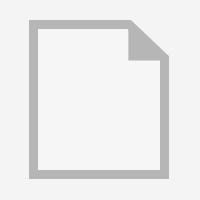 Materials include a paper entitled "Economic Crisis Affecting Asian Political Environment. This Mandatory Declassification Review contains material on the President's meeting with Russian President Boris Yeltsin on March 21, 1997 in Helsinki, Finland. 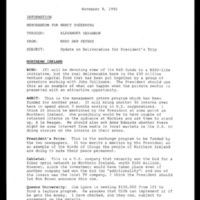 Materials include a memorandum to the President from Samuel Berger regarding the Summit meeting with Yeltsin and a report on Pertti Torstila, Director of the Finnish Ministry of Foreign Affairs. 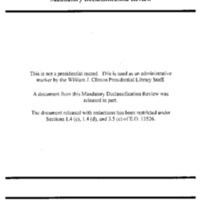 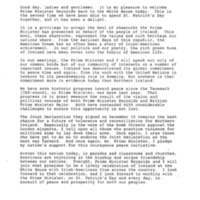 This Mandatory Declassification Review contains material on the President's meeting with Russian President Boris Yeltsin on March 13, 1996 in Sharm El-Sheikh, Egypt. Materials include reports on various foreign officials. 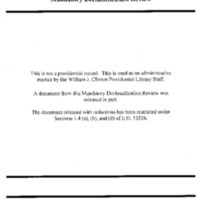 This Mandatory Declassification Review contains material on the President's meeting with Russian President Boris Yeltsin on June 17, 1995 in Halifax, Nova Scotia. 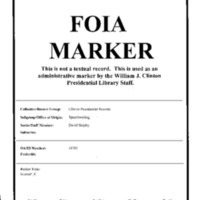 Materials include a report entitled "Halifax: Key Players at the Summit" and additional reports on various foreign officials. 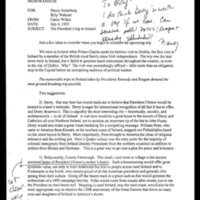 This Mandatory Declassification Review contains material on the President's meeting with Russian President Boris Yeltsin in May 1995 in Moscow. Materials include reports regarding various Russian officials. 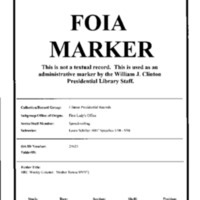 This Mandatory Declassification Review contains material on the President's trip to Belgium, the Czech Republic, Russia, and Belarus in January 1994. Materials include reports on various leaders. 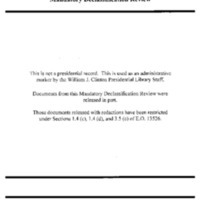 This Mandatory Declassification Review contains material on President Clinton's meeting with Russian President Boris Yeltsin in Tokyo in July 1993 for the G7 Summit. 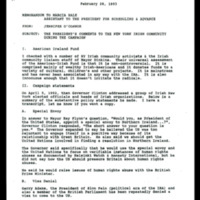 Materials include reports on various leaders who attended the Summit. 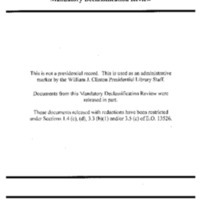 This Mandatory Declassification Review contains material on President Clinton's meeting with Russian President Boris Yeltsin in Vancouver in April 1993. Materials include a Department of Defense memorandum regarding the relationship between American and Russian armed forces and a report concerning Russian Minister of Finance Boris Fedorov. 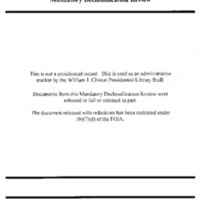 This Mandatory Declassification Review contains material on the President's Committee of Advisors on Science and Technology (PCAST). 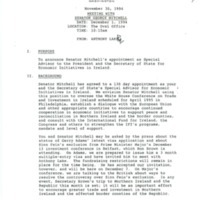 Included is a Department of Energy memorandum regarding nuclear security in the Newly Independent States. 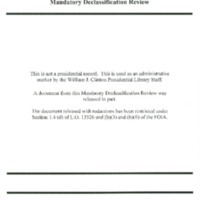 This Mandatory Declassification Review contains material on Iran. Materials include a report on the impact of Russian arms sales to Iran and diagrams regarding Iran's economy and foreign trade. 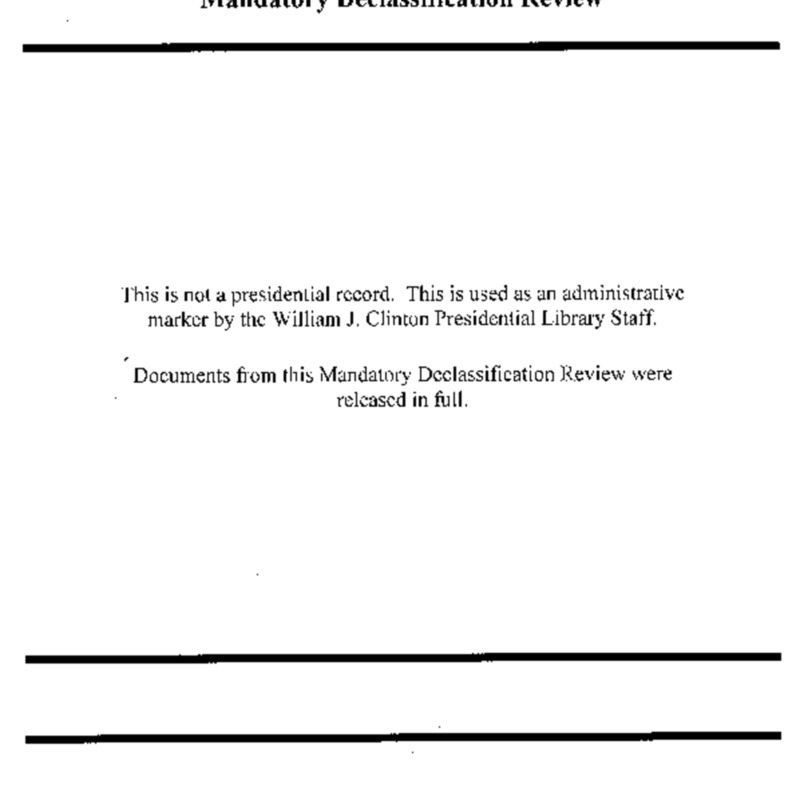 This Mandatory Declassification Review contains material on Iran. Materials include a study entitled "PSYOP Aspects of Decision Making in the Islamic Republic of Iran", July 1993. 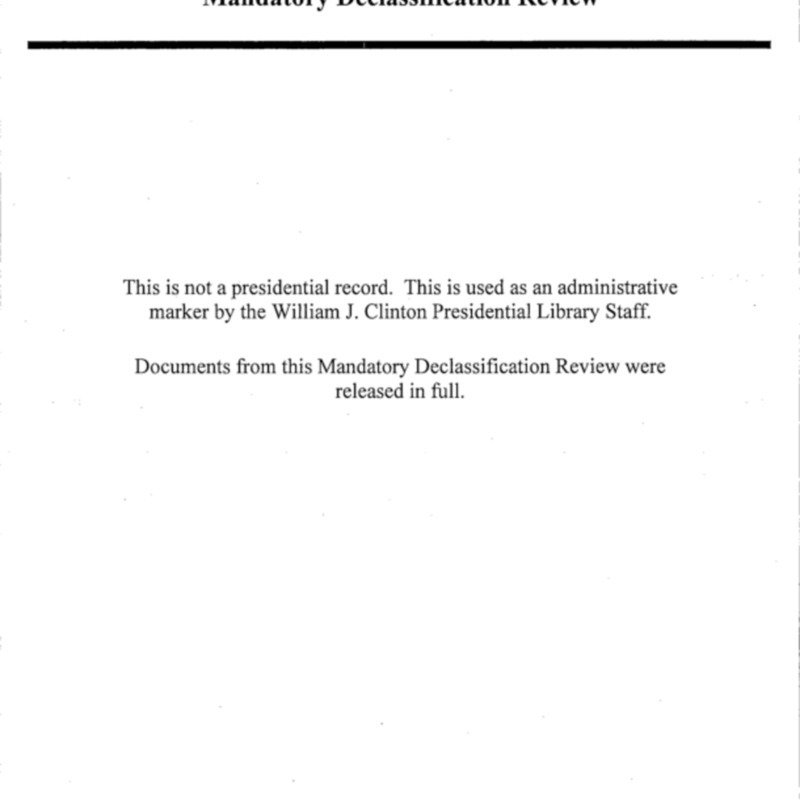 This Mandatory Declassification Review contains material on briefing books prepared for President Clinton's trip to Moscow, Russia and Minsk, Belarus in January 1994. Materials include a memorandum from Strobe Talbott to Secretary of State Warren Christopher regarding a meeting with Russian Foreign Minister Kozyrev. 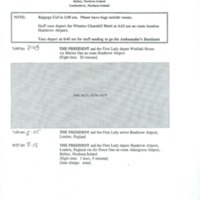 Also included are Department of State cables providing background information for the President's trip. This Mandatory Declassification Review contains material on the genocide in the former Yugoslavia from 1993 to 1995. 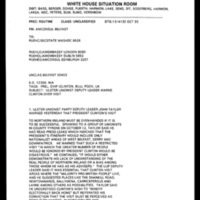 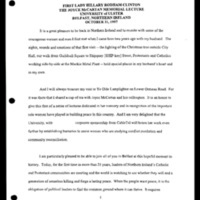 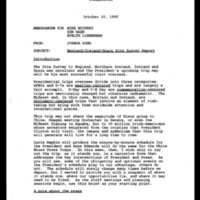 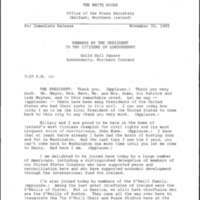 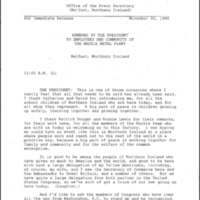 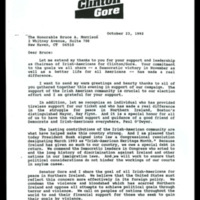 Materials include a memorandum to the Secretary of Defense regarding a meeting in London on the United Nations Peacekeeping Forces in Bosnia, July 16, 1995. 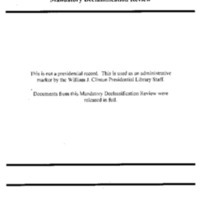 This Mandatory Declassification Review contains material on Ukrainian oligarchs and organized crime figures in the staff and office files of the Russia, Ukraine, Eurasian (RUE) directorate. 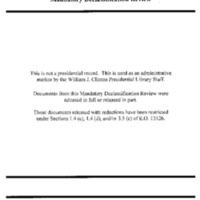 Materials include a paper on a trade dispute between the United States and Russia and memorandum summarizing a meeting with Ukrainian officials on fighting corruption in the Ukrainian government. This Mandatory Declassification Review contains material on Ukrainian oligarchs and organized crime figures in the files of Lee Wolosky, Director of Transnational Threats for the National Security Council. 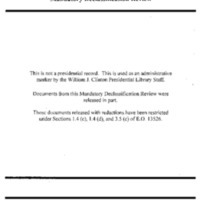 Materials include a diplomatic strategy paper on Russian crime and corruption and an email regarding the indictment of former Ukrainian Prime Minister Pavel Lazarenko on money laundering charges. 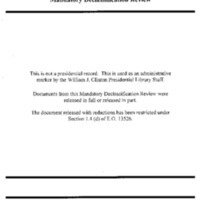 This Mandatory Declassification Review contains material on Rwanda from the files of Susan Rice, National Security Council Global Issues and Multilateral Affairs director. 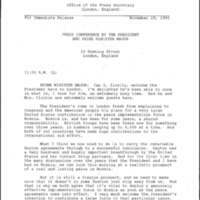 Materials include a cable regarding Tunisian requirements for deployment to Rwanda, 7/25/1994.